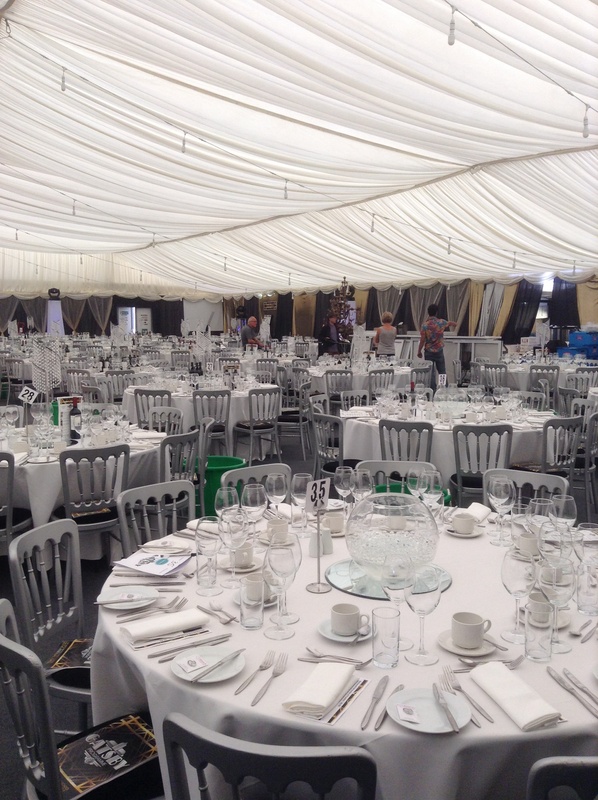 Another busy weekend for the KF team, it was Beechwood Park’s school annual charity event raising money for Keech Hospice and BPSPA. 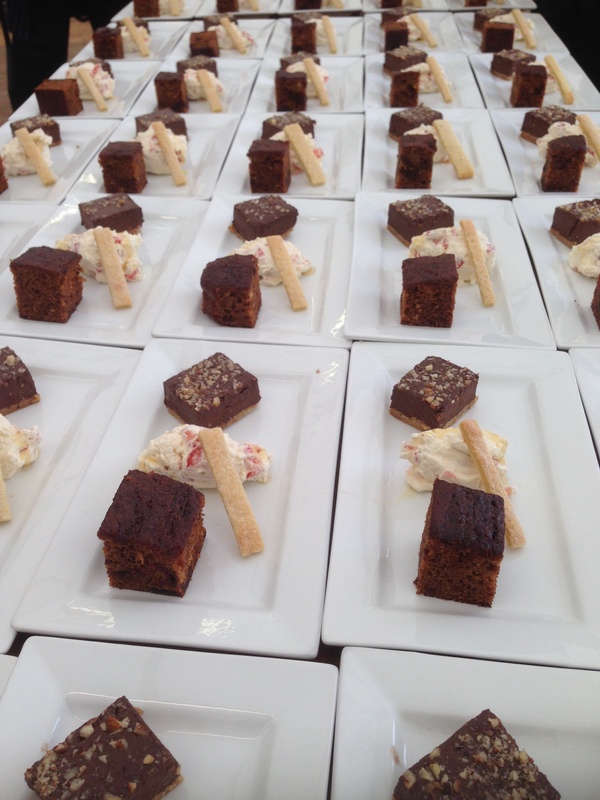 This is the second year we have catered the event for over 400 guests and long may it continue! 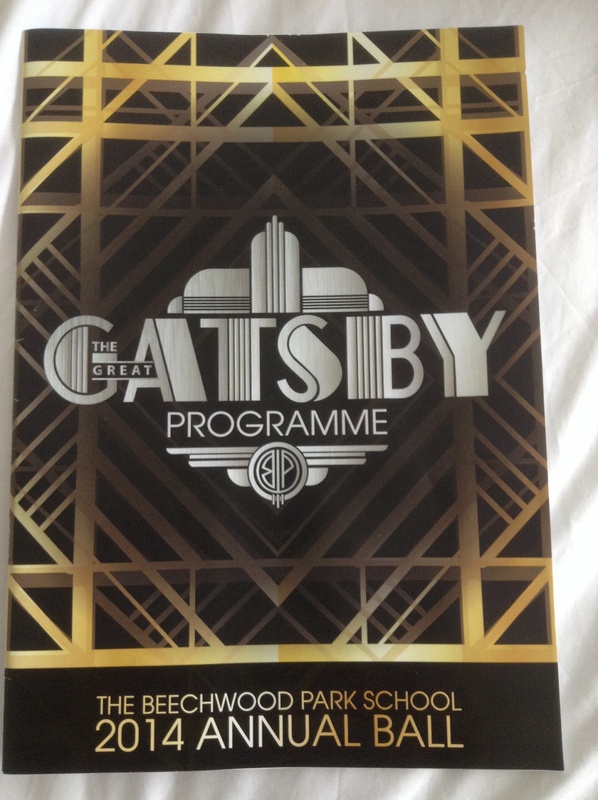 This years theme, The Great Gatsby, was a tremendous choice, lots of time and care was spent in the planning and setting up of the event. 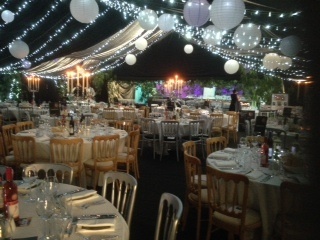 The room looked amazing with floating balloons and twinkly lights, reminiscent of a Jay Gatsby’s famous parties! 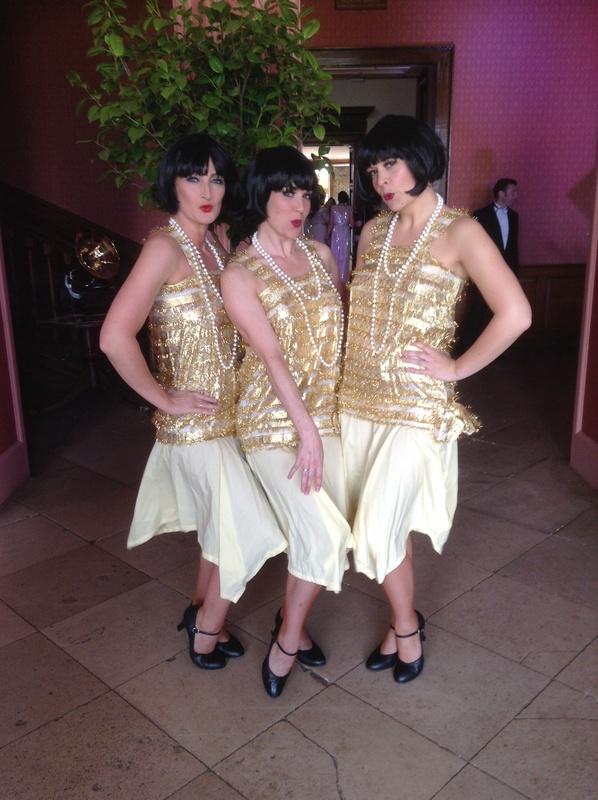 The guests arrived to saucers of champagne, greeted by our lovely KF staff and dancing girls, then made their way through to the marquee. PeeWee our lovely presenter & host for the evening started the entertainment either an auction for a bottle of 2001 Chateau Lafite, top London restaurants have this on their wine list for £1000! It finally sold for £1100, not sure that will ever get opened! Other kitchen team laid out all the starters and my lovely staff, all 32 of them! 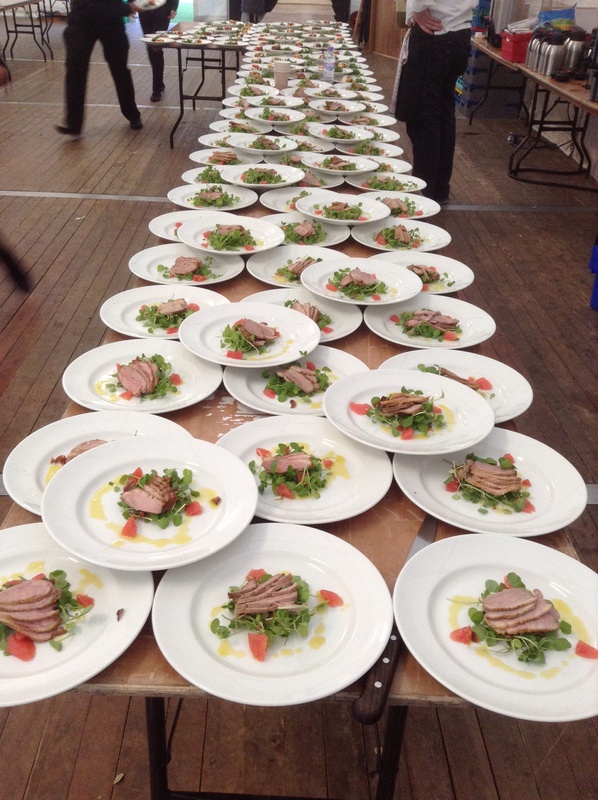 started serving to tables, the choice was Marinated Vegetable a& Mozzarella a Timbale, Parmesan Shavings, Rocket leaves, raspberry balsamic syrup or Salad of Seared Duck, a Watercress, pink Grapefruit, Honey Lavender Dressing, served with a selection of breads and butters. After a few games orchestrated by Pee Wee the kitchen set up to serve main course. 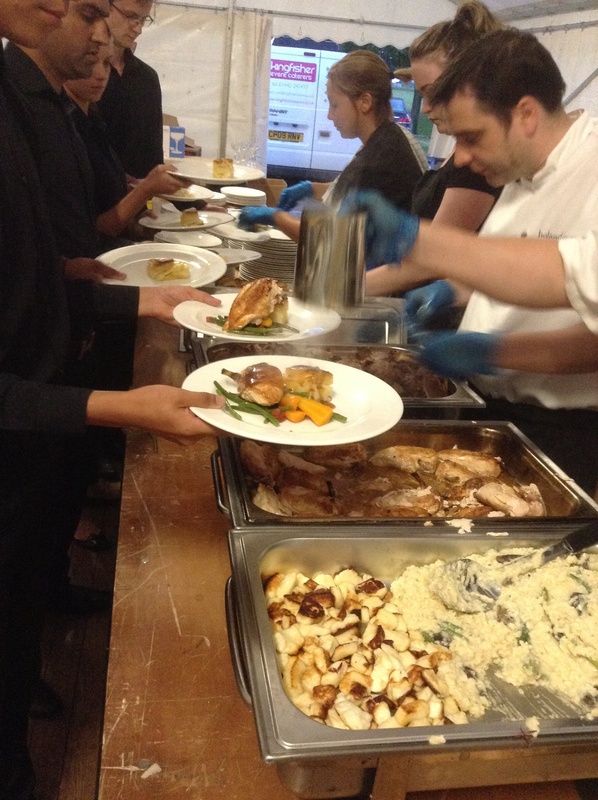 2 stations of chefs, waiting staff lined up and off we went, we managed to serve all 419 in under 25minutes! Well done team! That was some service! They choice was Roasted Chicken Breast, blue cheese dauphinoise, warm salad of green beans, chorizo and chantennay carrots, Madeira jus, or Roasted Sirloin of Beef with blue cheese dauphinoise, warm salad of green beans, chorizo and chantennay carrots, Madeira jus or the vegetarian option of Summer Vegetable Risotto, Pan Fried Haloumi, red chilli pesto. It looked and smelt delicious and judging by the clean plates that came back it was enjoyed! 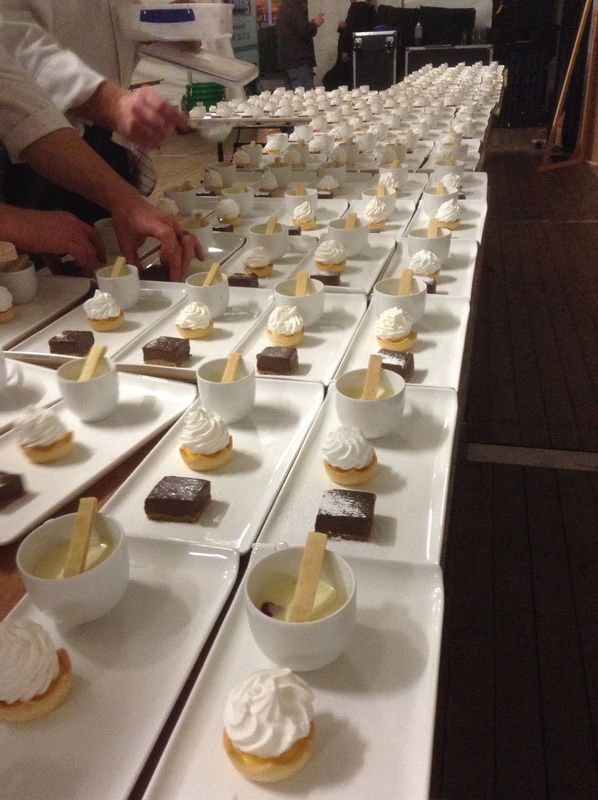 A trio of desserts followed of Lemon and raspberry posset, ginger biscuit, dark chocolate torte, passion fruit meringue pie, all washed down with lashings of wine and champagne! Tea & coffee then, followed by lots and lots of dancing! The guests partied hard till 2am, fuelled by the great Metropolis band and a great feel good spirit, the atmosphere in the room was electric at times, a fantastic evening, enjoyed by all! Triple Weekend! And not a wedding in sight! Saturday saw a very busy day for the KF team, with 3 different events and over 600 clients to feed, organising everything was a small feat in itself! But once again with the help of a very professional team it went without a hitch! 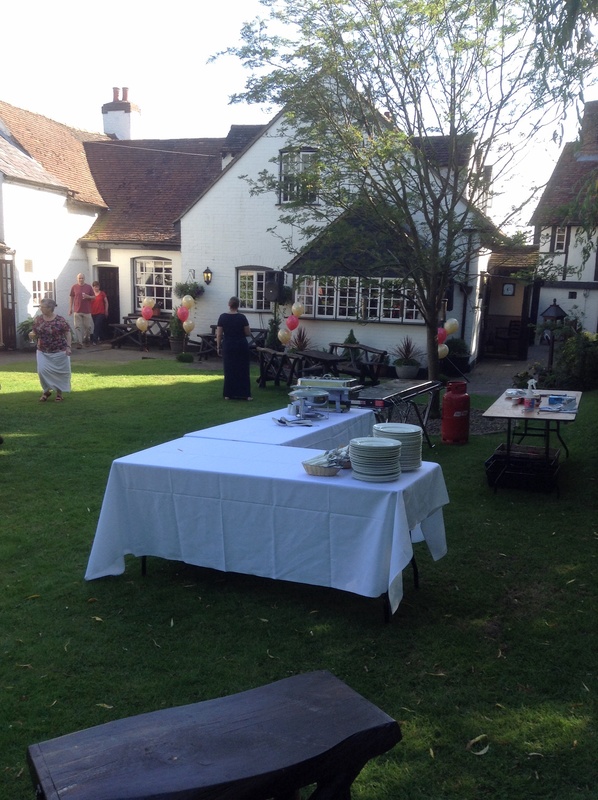 So Jodie, Holly and Josh helped make Jeremy and Shelia’s joint birthday and ruby wedding anniversary a success at the Holly Bush in St Albans, with MJ cooking the barbecue and serving canapés to 60 guests in the beautiful garden. The perfect warm summers evening was filled with laughter and funny gifts including a blow up Zimmer frame, everyone seemed relaxed and enjoyed the food and the celebration. 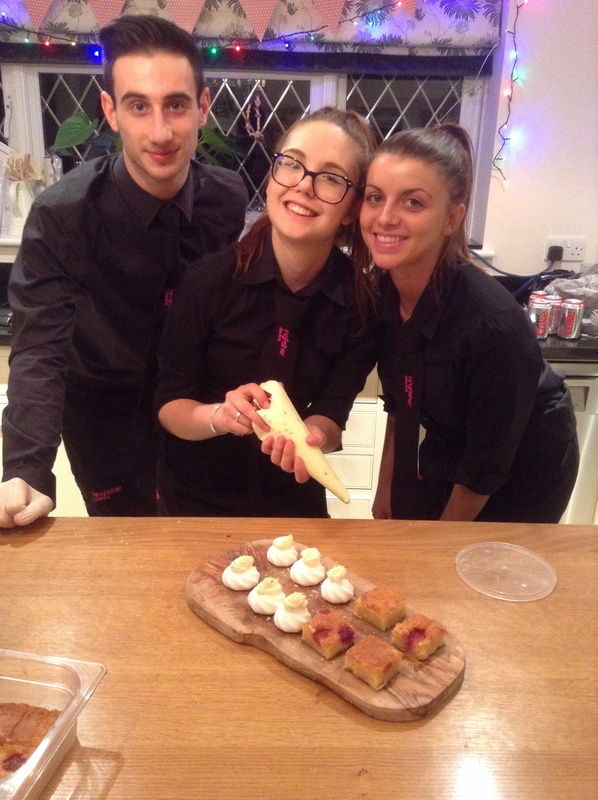 Dan, along with our newbies to the kitchen, Ian & Rosie served a 3 course meal at a charity event in Stevenage. 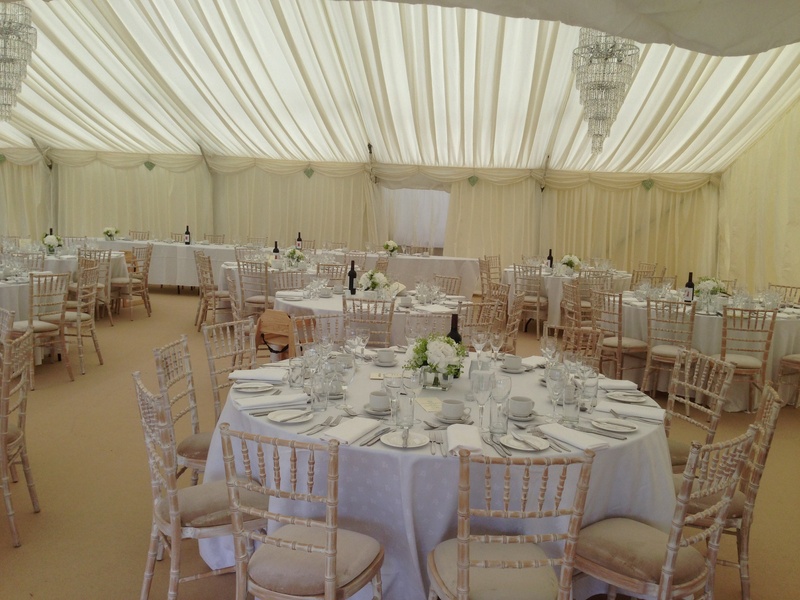 The marquee looked beautiful and the food delicious. Lots of money was raised for Cancer Research. Ian said afterwards “It was a pleasure for rosie and I do ” do something different ” maybe, but I want you back front of house with me next week thankyou! Lastly, John and I went to the delightful Samantha & Sean’s beautiful house in Radlett to serve canapés, drinks and bowl food to 120 friends and family celebrating Samantha’s 40th Birthday. 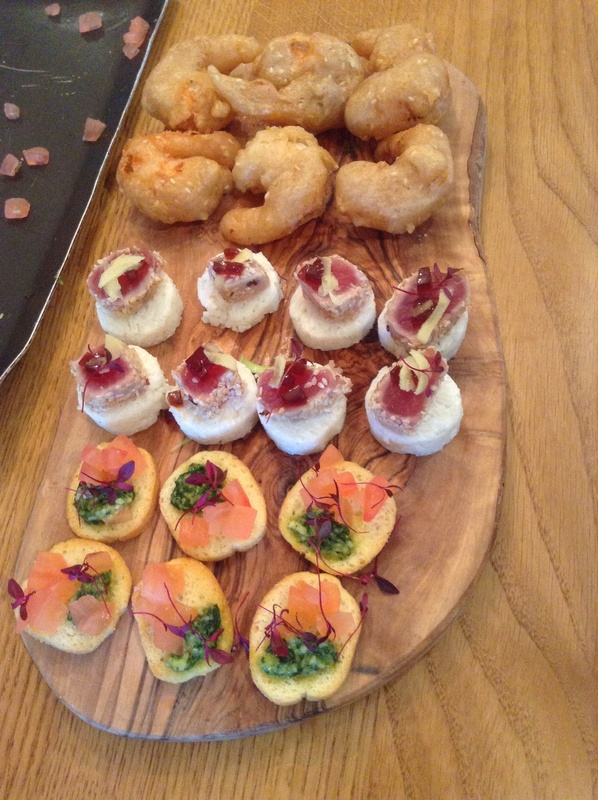 We have catered for them before, always lovely to be asked back, makes us sure we are doing it right! Marquee in the garden complete with cocktail bar, Samantha in a stunning gold dress, sun shining, and my team of 10 fantastic waiters and waitresses, made for a great combination. 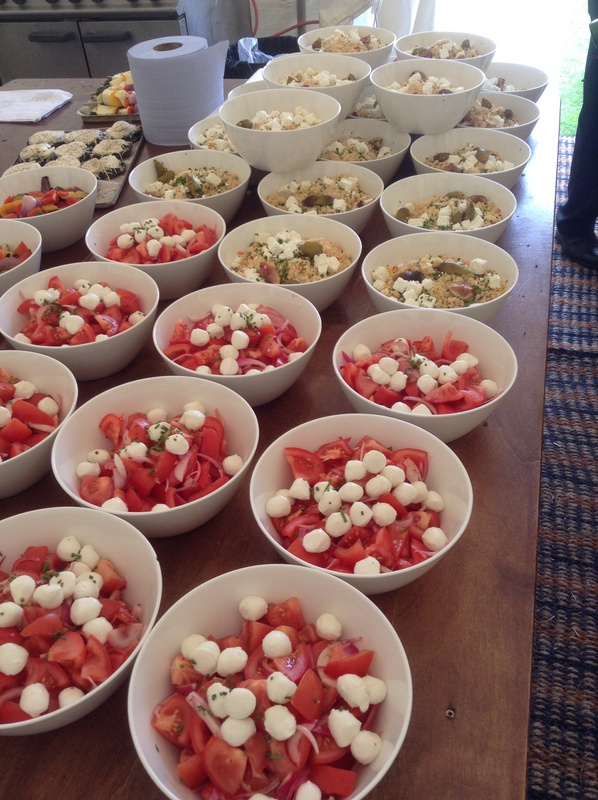 Bowl food always a tricky one with lots of prep and hands on for John, but Tom, Joel and Ollie made light work of being sous chefs for the evening! 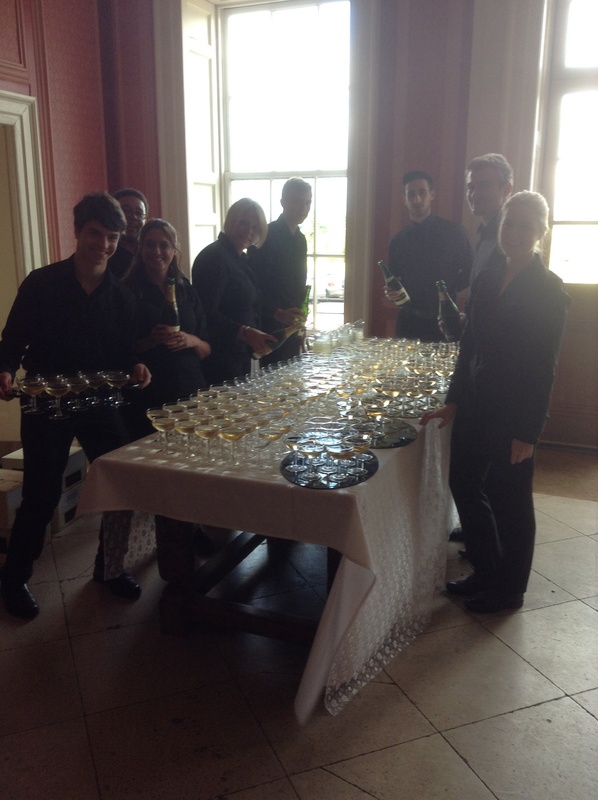 Champagne flowed, the band rocked and everyone enjoyed the celebrations into the early hours! Of all the mini bowls we served; Sirloin of Beef, Parmentier potatoes, bernaise sauce or Slow cooked Lamb Shoulder, Greek Salad Tzatziki, or Thai Green Curry with sticky coconut rice, always, always the Haddock, homemade chunky chips and tartare sauce is by far the most popular! We had them coming back and back to the kitchen for more until there wasn’t a chip left! So another busy week ahead, charity dinner for over 400 this Saturday with a team of 35 front of house staff for me to look after! The bigger the challenge, the higher we jump! Thankyou to everyone who made last Saturday the success it was, let do it all again this week! 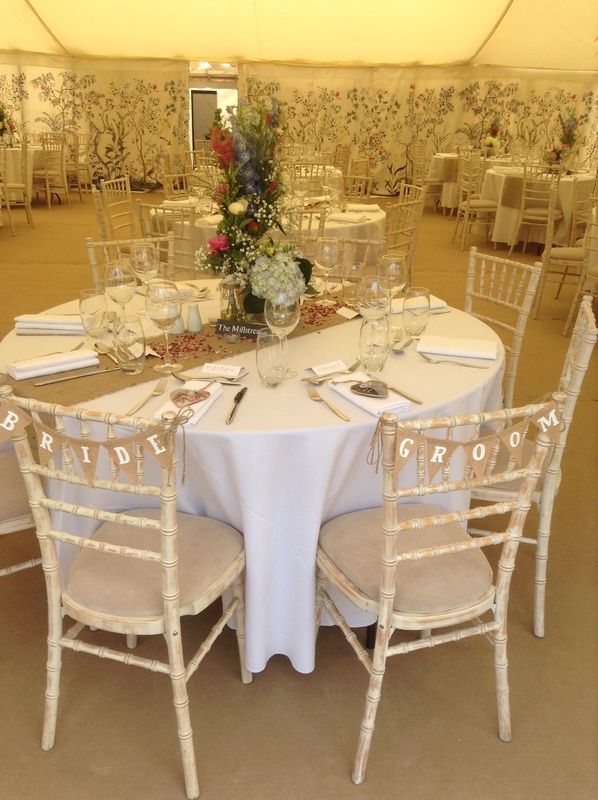 Saturday saw the KF team back at 2 beautiful venues for 2 very different weddings! We managed to dodge the downpours and lay up, by the time the guest arrived the sun made that all important appearance! Firstly Ian, Dan and the team went to North Hill Farm in Chorleywood for Kristeen & Daniel’s international themed wedding. 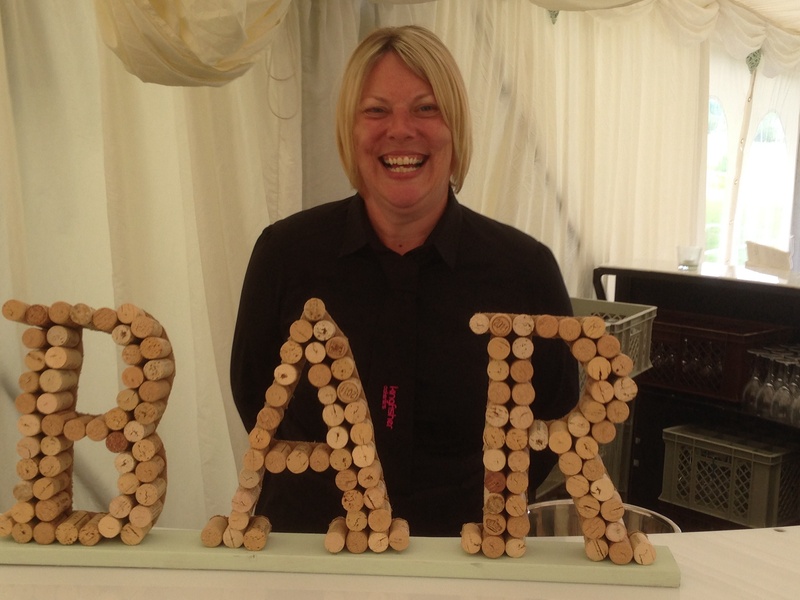 Guests travelled from far and wide to attend and Portuguese beer was served from behind the bar by Rosie and Francis! 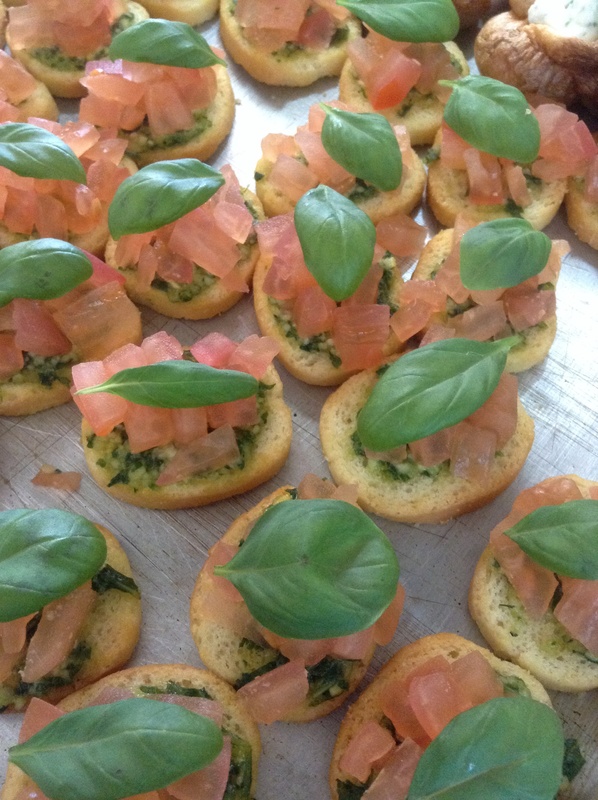 The 120 guests feasted on Rustic style Bruschetta with vine tomatoes to start followed by Roasted Supreme of Chicken with Honey, Thyme & lemon, Roasted a Parsnips and sweet potato and salsa verde. Finished with a trio of desserts of dark chocolate and candied hazelnut torte, sticky toffee pudding, butterscotch sauce & clotted cream, and Eton mess, blossom honey, strawberry shortbread. Delicious! They danced the night away to a live band and enjoyed the evening nibbles of bacon & sausage baps and chips! great day! 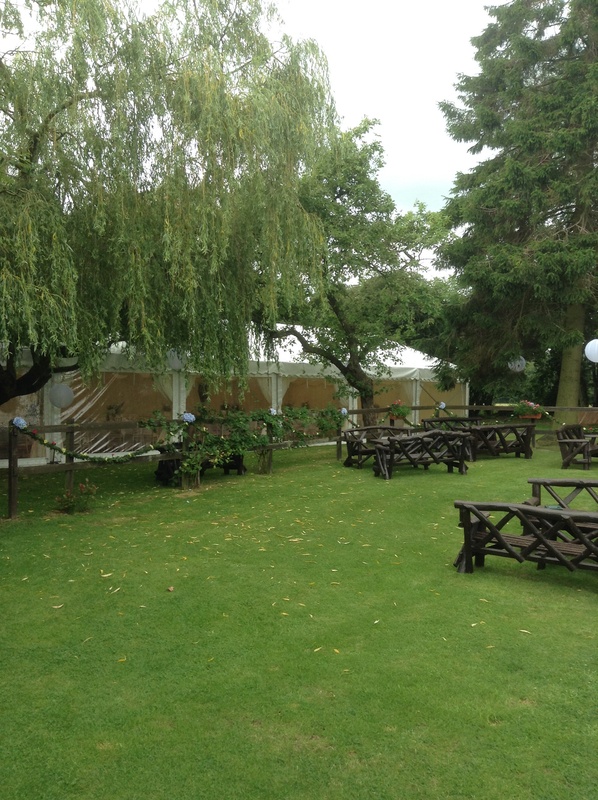 Team 2 with me, John & MJ found ourselves at the stunning Holly Bush pub in St Albans for Amy & David’s wedding celebrations. Amy looked stunning in her organza style gown and with David’s vivid blue suit they certainly made a striking pair! The wedding breakfast was served buffet style to them at the tables, so they could help themselves, carve their own venison and pass bits around. It’s a great way if making sure all your guests get chatting early on! 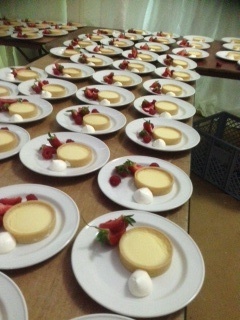 The food looked and smelt gorgeous, it was something a bit different but was devoured by all 160 guests! , and Buttered English New Potatoes, and Roasted Butternut and Courgette, Raspberry Balsamic, Oregano and Shaved Parmesan, and Sun-Blushed Tomato, Caramelised Onion and Gruyere Tartlets. For dessert they had a big bowl of Hawkswick Lodge Farm Fruit and Pimms Trifle. Everyone enjoyed the food and after their speeches they cut their doughnut wedding cake! Always great to have something different! The band rocked the night away, the drinks flowed and a great time was had by all. 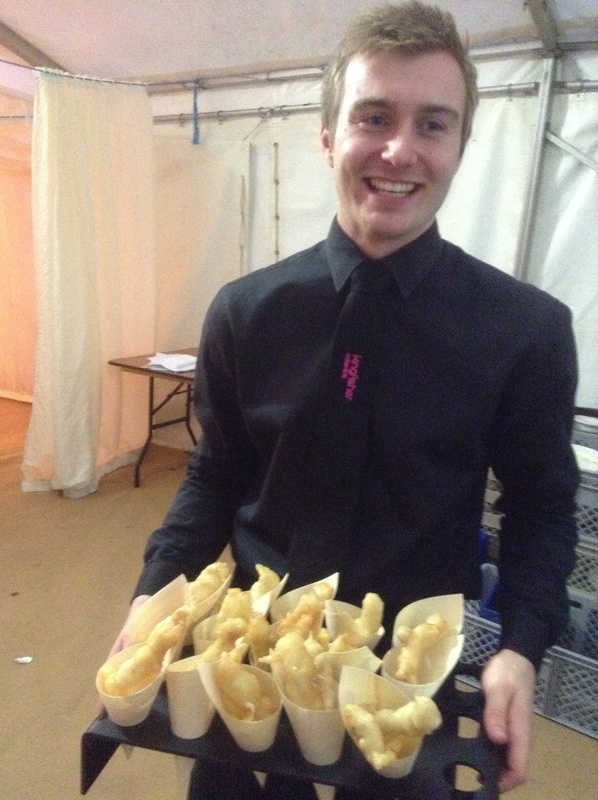 They even managed to eat all the fish and chips served here by the lovely Joel! 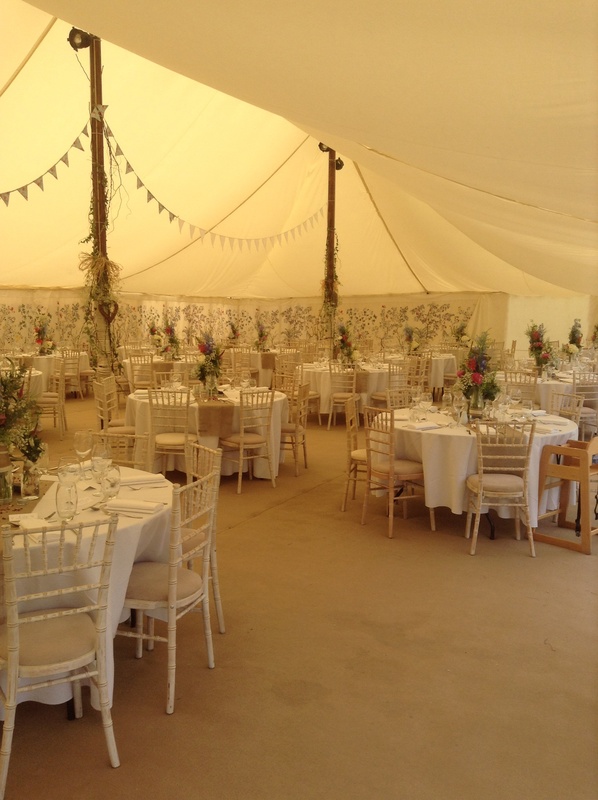 Saturday we had the pleasure of catering for Alison & Chris’s Wedding at the beautiful Shenley Walled Garden near St Albans. 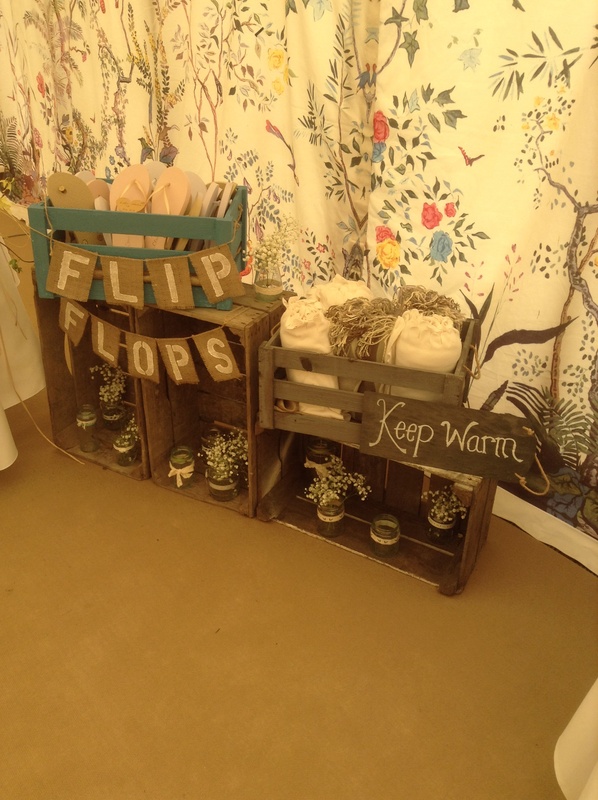 The marquee looked stunning with a country flower theme running through complete with hessian table runners and painted wooden orange crates. Alison had been collecting bits for ages and it showed, her attention to detail shone through. In the warm afternoon sunshine the guests arrived to glasses of chilled Prosecco and canapés which we served in the beautiful gardens. John & MJ fired up the barbecue and cooked in view of the guests. 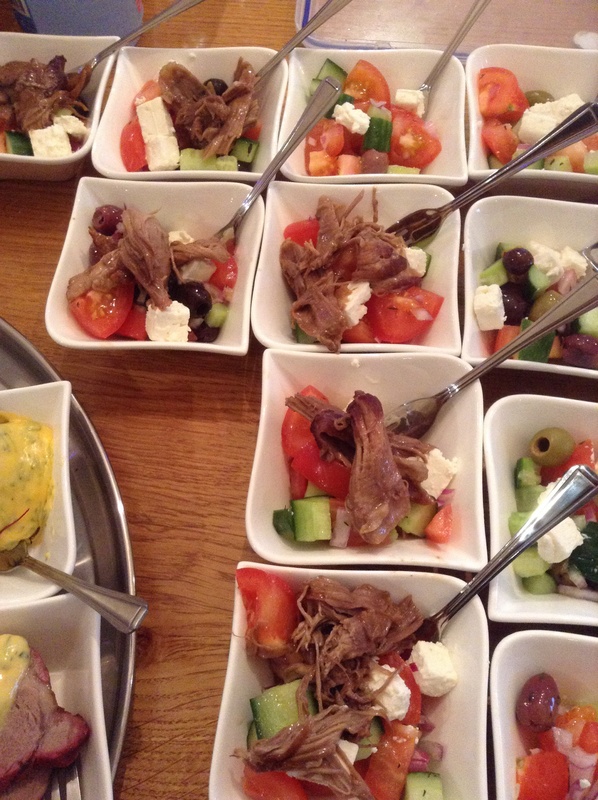 The smells from the Lamb, Mint & Feta Burgers, Pork & Apple Sausages and the Honey, Seasame and Soy Salmon was divine! We served all of this on platters to each table and with the accompanying salads and potatoes it looked like a delicious feast. 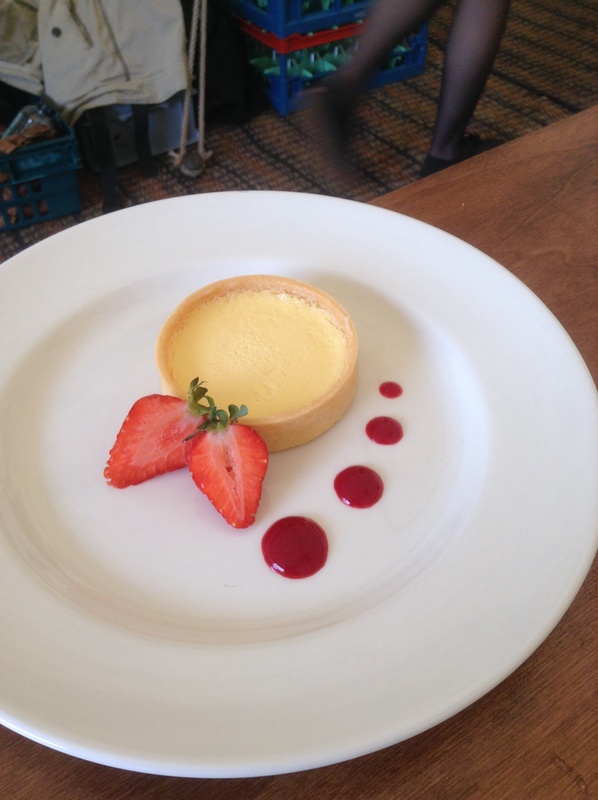 The meal was completed with a Lemon Tart & Summer Berry Coulis. All washed down with wine and champagne and of course tea, coffee and biscuits! After all that eating the guests made there way outside to a barn dance in the amphitheater, great fun way to get all the guests moving again! After a DJ got the whole marquee dancing the night away! Lovely day, great for us to be part of it!